Unlimited visit as long as Membership is maintained in good terms. Up to 20% Discount on tests and investigations done at Canyon Medical Center Location only - this is on top of the already discounted price listed. After 6 months of continued Membership maintained in good terms - You will get a Comprehensive panel of Blood test once for free - to evaluate your well being and Health as a screening tool. Subsequently Comprehensive panel of Blood work is done for free - once every 12 months for Members in good standing without any due. After 9 months of continued Membership maintained in good terms - You will get Chest X ray and EKG once. Subsequently will get one Chest X ray and EKG for free - once every 12 months for Members in good standing without any due. After 18 months of continued Membership maintained in good terms - You will get Echo cardiogram once. Subsequently will get Echo once every 24 months for free - for Members in good standing without any due. Eligible to receive any periodic promotions (at the discretion of Canyon Medical Center) and news-letters. This plan will only cover for the Regular Office visit to see the Doctor and covers only for the Doctor's visit. Hence appointments for the visit should be made 7 days in advance during regular office hours - and does not include Urgent Care visits (for medical reasons that you need to be seen immediately - This plan will not let you make any appointments before 7 day advance notice). If you need to cancel appointments - cancellation should be done in 2 days advance - otherwise you will be charged $20 for that no show. Membership covers only for the Outpatient Doctor's visit at Canyon Medical Center - does not cover any tests or lab works - But Membership makes you eligible for additional discount up to 20% on the lab tests and investigations done in our Office only. This is not a Medical Insurance or a Health Care Insurance and hence does not cover all health care situations or any Hospital visits or Emergencies or Specialty care or any medications - and strictly covers only for the Doctor's visit at Canyon Medical Center and only makes you eligible for additional discounts on the prices of tests and investigations done in our Office facility only. This Membership plan cannot be combined with any of your Medical Insurance plan - should be used only as a stand alone Membership plan for one single individual member. Monthly premium payments should be made before the 15th of each month promptly to keep the Membership in good standing. For payments received from 16th to the end of the month will carry an additional $10 fee. If payments are received after the end of the month; there is an additional penalty of $25 for each month. Membership should be maintained in good standing without any dues on payment - before any service is provided. If payment is not received continuously for 3 months, then the Membership becomes Null and void immediately and becomes terminated without any further accrued benefits. At the termination of Membership, you will not be eligible to receive any further services; and also may preclude you from entering any future membership agreements. 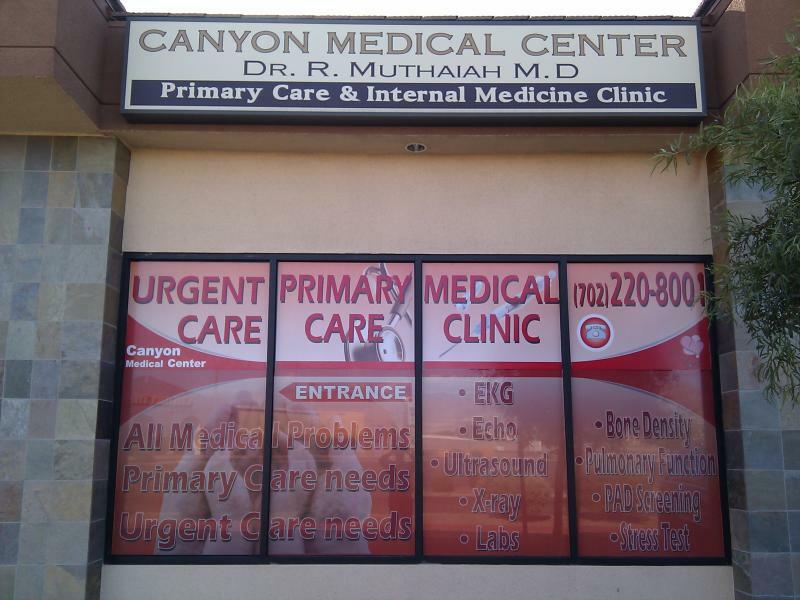 Terms and conditions are subject to change at anytime - at the discretion of Canyon Medical Center. Membership provides you an opportunity to avail the discounted service at our medical center and should not be construed as a contract or contractual agreement and can be terminated by Canyon Medical Center at anytime without cause. Payments can be made with Credit Card, (Visa/Master), Cash and Personal Checks only. Payment should be received by us before the stipulated time to avoid additional fees and penalties.